Can portable air conditioners be energy-efficient? • The Air Geeks, reviews of air conditioners, dehumidifiers and air purifiers. 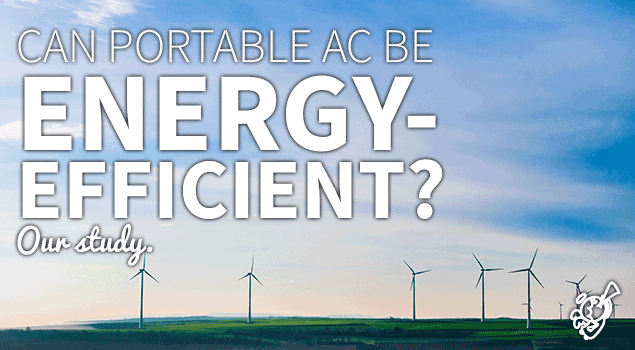 Blog, Portable Air Conditioners » Can portable air conditioners be energy-efficient? 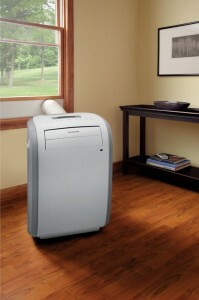 A portable air conditioner cools a room to ensure that it has the desired temperature. This transformation comes at a price because air conditioners, just like most home appliances, consume electricity. If your portable unit consumes excess power, it can cause your electricity bill to shoot. To avoid energy wastage, you should go for energy efficient appliances. An energy efficient air conditioning unit has minimum energy wastage and enables the user to save money. In case you are planning to buy an air cooling system for your room, you are most likely thinking about its power requirements and the impact it is going to have on your overall energy consumption. If you select an energy efficient unit, it will have a slight effect on your electricity bill. However, if you make a wrong choice, you will most probably notice a significant change in your bill. So, what should you look for to know if the appliance that you are considering is energy efficient or not? The energy consumption of most appliances increases with an increase in their power. High capacity portable air conditioners consume more power and they are capable of cooling very large spaces while low capacity units consume less power and they are suitable for small spaces. For the best performance, you should select a unit that the manufacturer recommends for your space. The cooling capacity of a portable air conditioner is given in British Thermal Units (BTUs). This unit is a measure of the heat that a unit is capable of removing in an hour from the space in which it is installed. A high BTU means that the unit is capable of cooling large spaces while a low BTU indicates that the unit is designed for small spaces. The Energy Efficiency Ratio (EER) is a measure of the efficiency of an air conditioner. The EER is a ratio of cooling output to energy input. The EER can be easily obtained by getting a ratio of BTUs to power input (watts). When selecting an air conditioner for your bedroom, office, or living room, you should go for an energy saver because the cost of running it is usually lower. According to most standards, air conditioners should have a minimum EER of 8. In most cases, the manufacturer provides the BTU and EER values. Sometimes, the EER is not provided but you can easily calculate it as long as the capacity (BTU) and the power input of the air conditioner are provided.